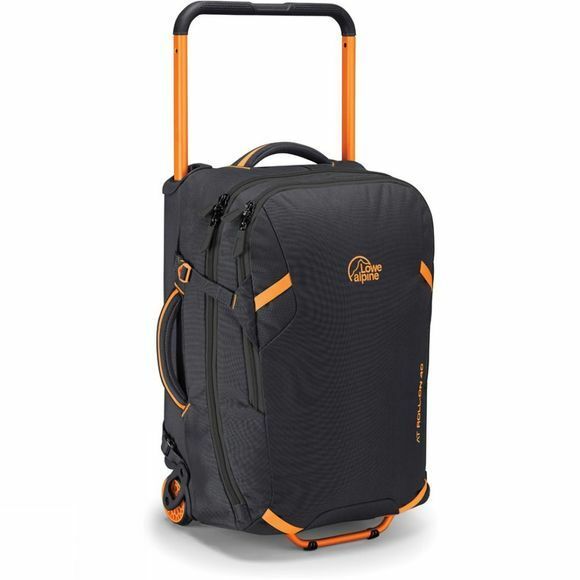 The AT Roll-On 40 Travel Bag from Lowe Alpine is the ideal travel companion. WIth its wide handle and large wheels, you don't have to worry about your bag falling over while you are running through the airport or to catch the train. With its multiple pockets and carrying solutions, you can carry whatever and however you want. Please note: always check carry-on allowance/dimensions with airline before travel.